Recently I was working with someone from the technet forums to test their open federation. I added the contact to my list and sent them a message and immediately received the dreaded 504 error in MOC. Since this has been a hot topic on the forums and I see lots of searches landing people here for 504 errors I wanted to share again. I began the troubleshooting process by starting a new debug session on my edge server to grab a SIP trace (see my previous article on the same subject here for more information). 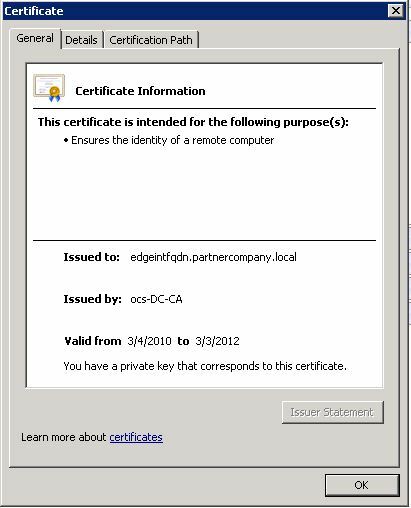 This same method and certificate were utilized on the web conferencing edge, which in turn broke federation and some portions of external access. Once the access edge was configured with the new certificate, the FQDN populated with the expected value, fixing the issue. One thing to note here, the A/V service doesn’t actually check the subject name of the certificate, and could therefore be anything you wanted. 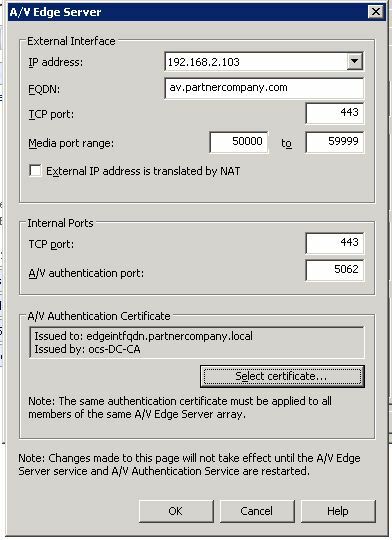 To avoid un-necessary confusion I would make this certificate match the public FQDN of the A/V edge, but there is no reason to use a public certificate here. 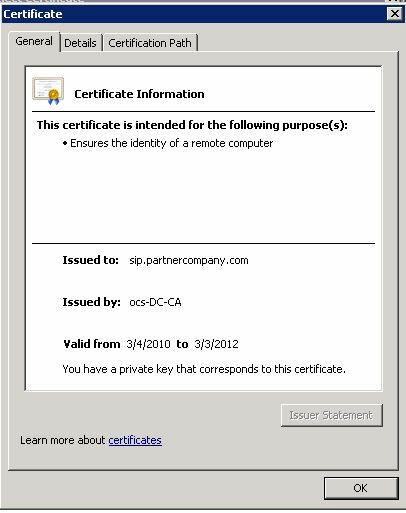 Although it is against best practices, I’ve seen a number of companies use the same certificate for all 4 roles. 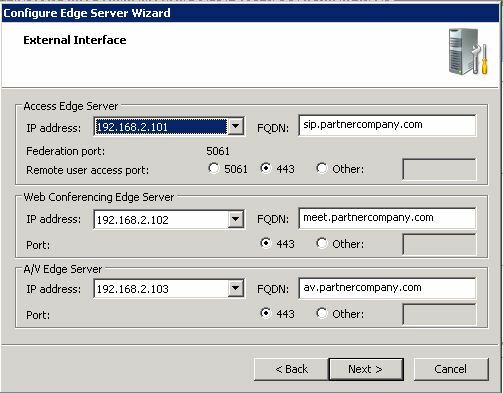 The catch is, the access edge and web conferencing edge roles will automatically update their own FQDN’s based on the certificates subject name. Your best bet here is to follow the guidelines Microsoft has provided and have a different certificate for each role. If you want to save some cash by using just one certificate for all 4 roles, you’ll need to have the certificate re-issued for each role and make sure the subject name of the certificate matches the roles public name or you may very well run into this. 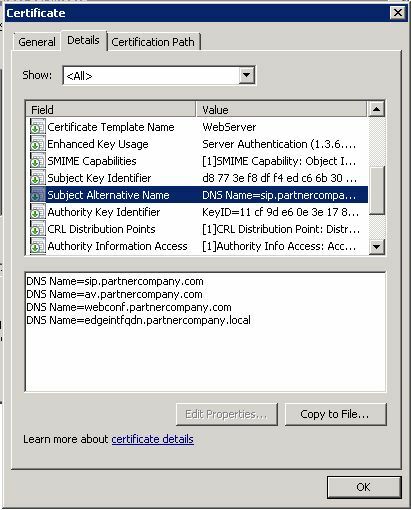 You can also use the edge server planning tool to help you plan for certificates. 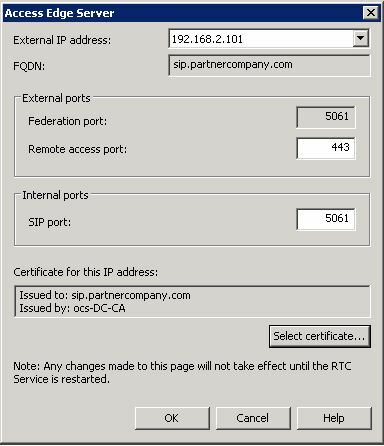 This entry was posted in Uncategorized and tagged 504, Certificates OCS, Edge Certificates, edge certificates OCS, federation, MRAS; Edge Server, OCS 2007 R2. Bookmark the permalink. 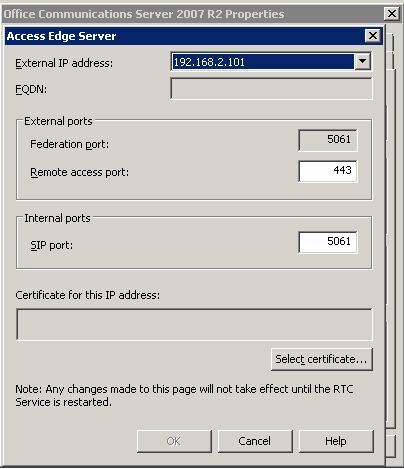 here i have one question to you ,which Lync Edition you have used for Lync edge server when you installing lync Edge server, is it Lync Standard edtin or Enterprise edition? can we use ocs 2007r2 standard edition for ocs 2007r2 edge server if ocs 2007r2 front-end server as configured with ocs 2007 r2 Enterprise edition ? For Lync you will not need a license for your edge and you can use standard edition. 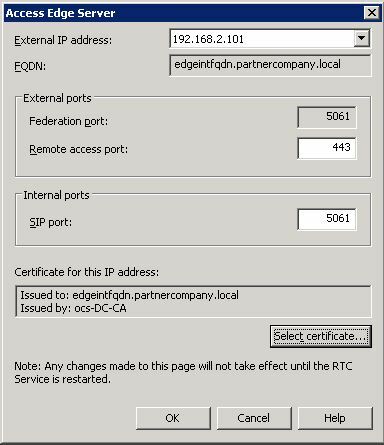 For OCS 2007 R2 you can use a standard edition edge against an R2 enterprise pool as well.